Below you can find some of the most commonly asked questions about our service. If there's something else that you'd like to ask us about, please use the contact form on this website to send us your questions. 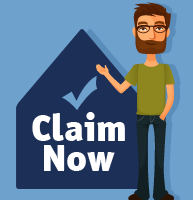 Once we have received your lease, we will assess your claim and invite your landlord to upload proof he/she has complied with the deposit rules. We give them 14 days to do this before we start your claim in earnest. If they fail to reply, we will send a formal claim letter for 3 x the deposit and giving them 21 days to pay. Some landlords pay up at this stage. If not, we will issue proceedings to get the Court to force them to pay. If we do have to use Court proceedings, it may take a few months to get payment. Q. Can my landlord evict me if I make a claim about the deposit? No. As a tenant you have rights and your landlord cannot take any action against you if you enforce your rights regarding your deposit. Q. Can I claim for old leases? Yes. You can claim for any rental going back 6 years. You may have moved several times but this does not matter. We will need your lease for each rental you would like to check. Q. Will I need to go to Court? No. The process is one of facts. The landlord has to prove he/she did comply with the regulations so there is no need for you to do anything. We do all of the work for you including dealing with any Court hearings. Q. Can I claim even though I got my deposit back? Yes. If your landlord failed to protect your deposit, they are required to pay you even if you have received the full deposit back in the meantime. Q. My landlord is withholding my deposit. What should I do? The reason the deposit protection scheme was set up was to provide a fair assessment for landlords and tenants when it came to returning deposits or paying for any damage. A landlord who has correctly placed your deposit in the deposit protection scheme can apply to the scheme for an assessment of any damage and so ask for some or all of the deposit to be withheld. This will then be assessed by the scheme administrators. If however, the deposit was not protected, the landlord now has no legal right to withhold the deposit. If they have done so then we might be able to claim the deposit back plus 3 x the deposit in compensation.